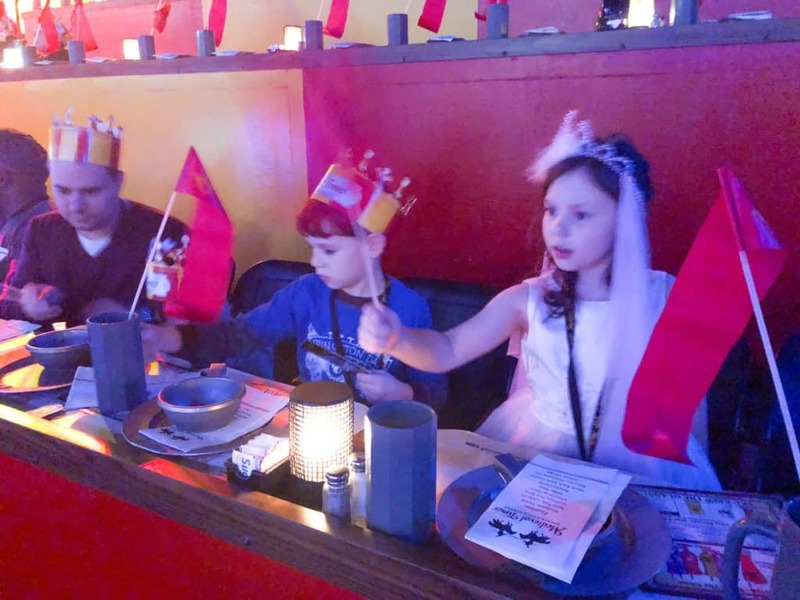 A Medieval Times review from a family of five as they meet the first queen of the castle. 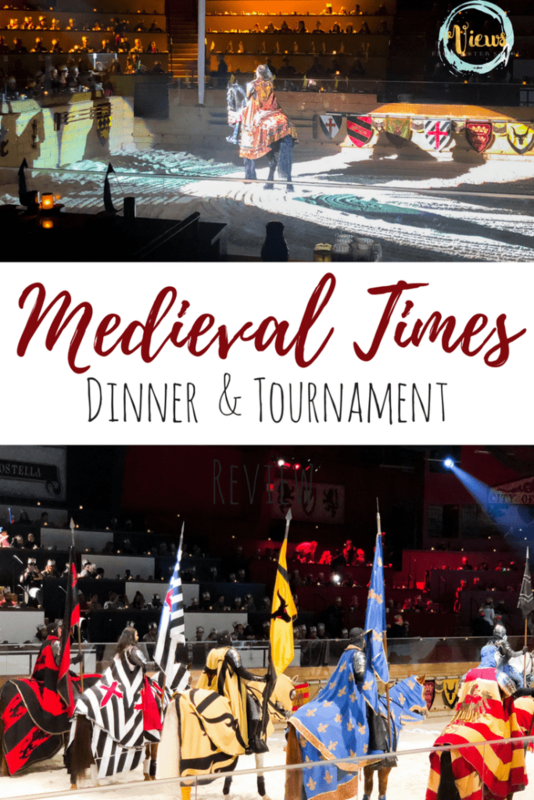 Swords, knights, food, family fun and more! Plus, ticket giveaway. 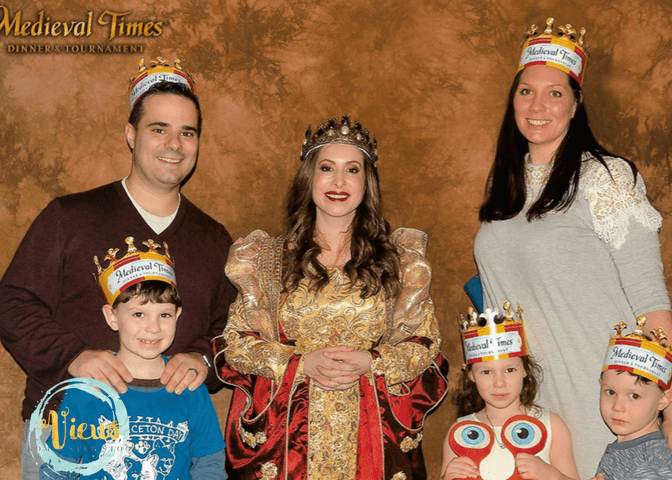 We recently had the opportunity to check out Medieval Times in Lyndhurst, NJ as they welcomed their first queen of the castle! 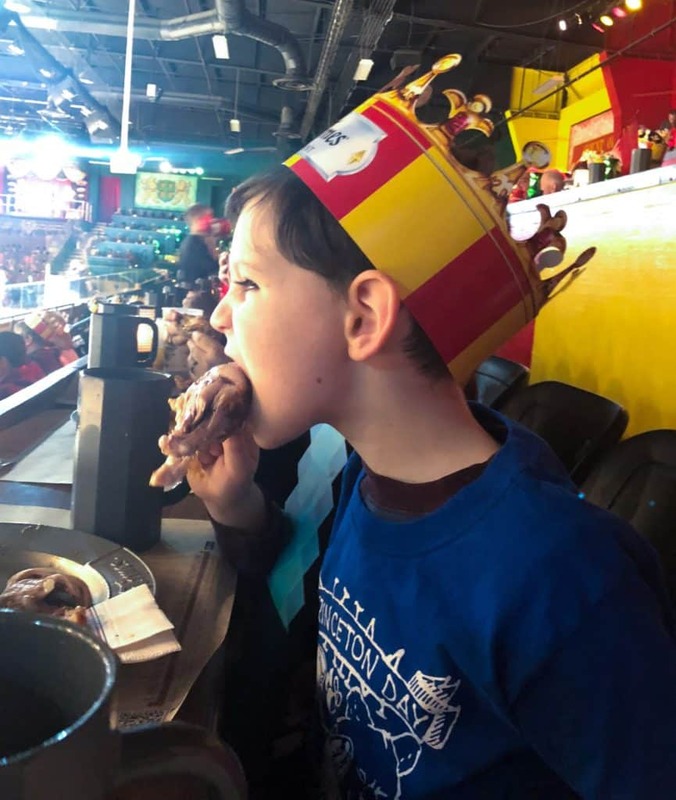 We love to check out local area attractions as a family and our trip to Medieval Times was among our favorites! The Lyndhurst castle was such a fun place to be! The castle itself was full of swords, armor, knights and more. We were able to arrive early and be entertained by all going on inside the castle pre-show – a HUGE bonus to a mom of three little ones. 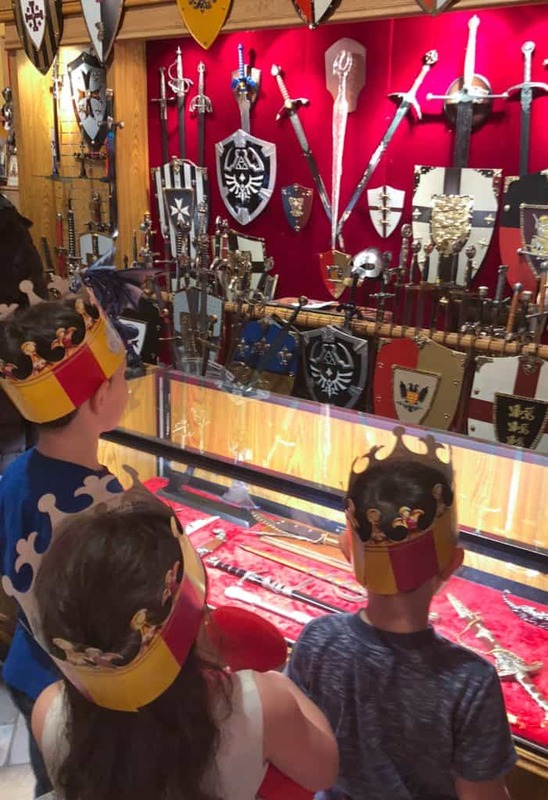 Waiting is never fun for anyone, especially not kids, but they loved their wait time at the castle – and of course had to make some sword and princess purchases while waiting. A major highlight of their wait time was getting to meet the queen herself, along with all of the knights! What a cool experience! 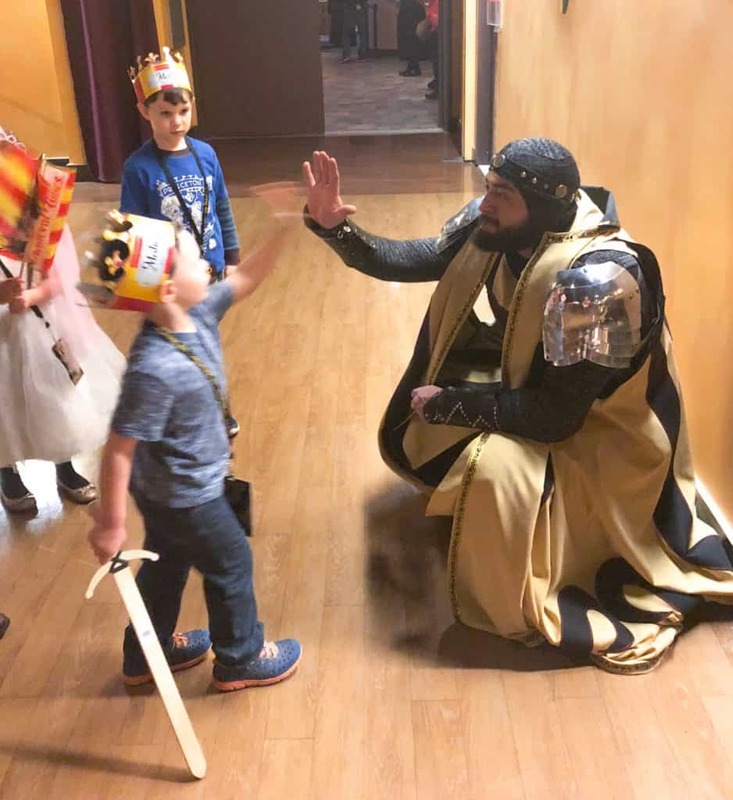 I have such fond memories of going to Medieval Times with my family as a child, and to be able to share that experience again with my own kids was priceless. The food was wonderful, the showmanship was awesome, and we were treated well throughout the night. I left without a single complaint and very happy children (who have begged to go back since). We ended the night meeting all of the knights and getting their autographs! 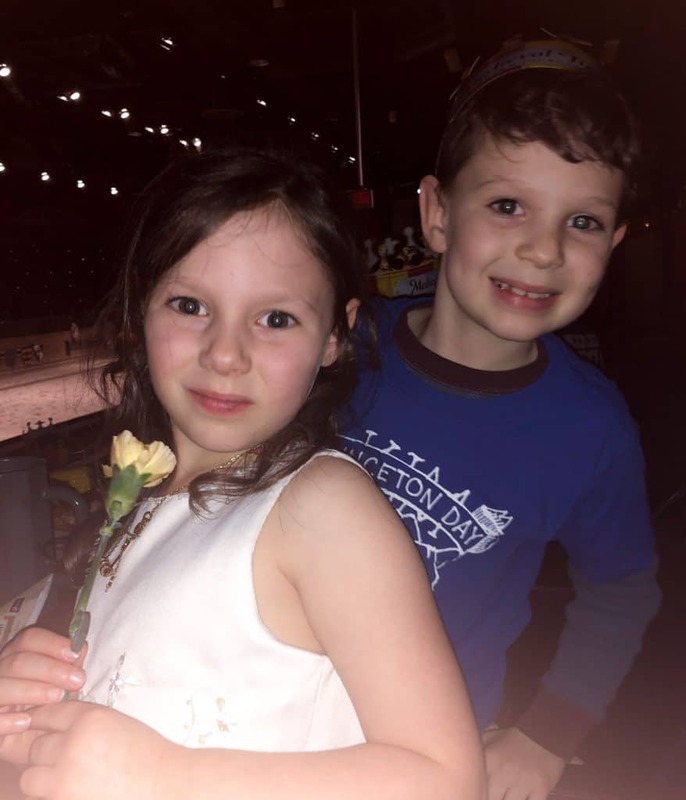 What awesome family fun for all of us! 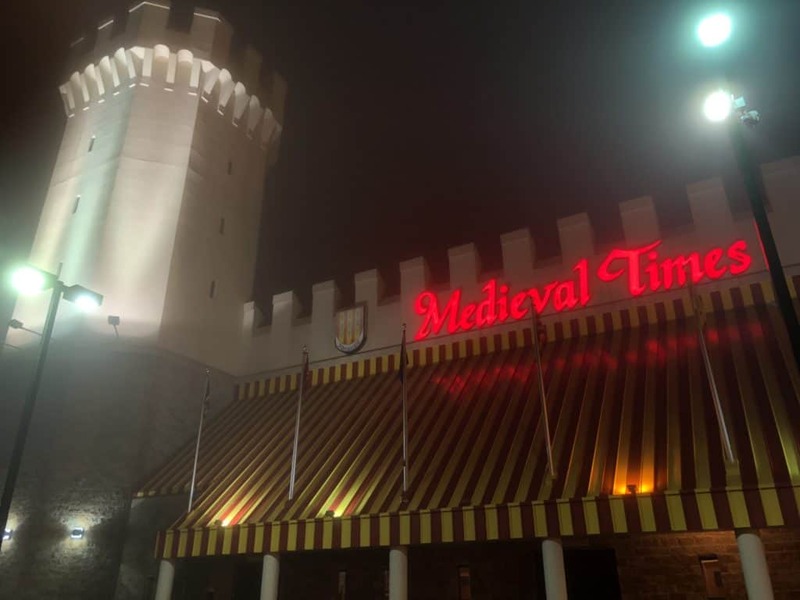 You can go to Medieval Times in Lyndhurst, NJ too! Enter the giveaway below for a family 4-pack of tickets! Additionally, you can use the coupon code ‘VIP35’ for $35 general admission tickets throughout the month of January at the Lyndhurst, NJ castle. 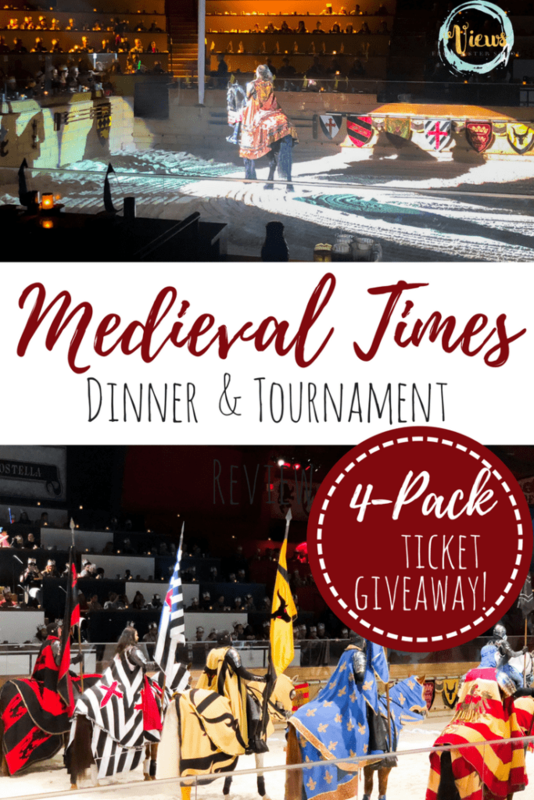 Enter to win here – by entering the giveaway, you will be opting in to occasional emails from Medieval Times with exclusive discount codes and events. Good luck! 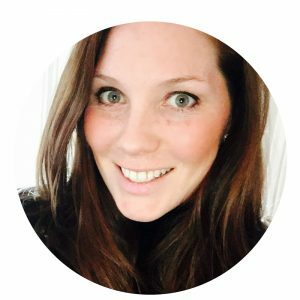 Giveaway ends 1/31/18. Sign up to receive more local content deals and giveaways from Views from a Step Stool in the tai-state area! We received free tickets in exchange for writing this review. All opinions expressed are my own. My sons would love to go. If I won this contest I would bring my parents to medieval times. They’ve never been and I think they went love it. I would take my sons with me. I’d love to take my niece and nephews. their parents went when they were younger but somehow i missed out! They haven’t been either, and would totally love it! I would love to bring my three kiddos! We live nearby but have never been. It looks like it would be an amazing day! I would take my daughters and husband. My daughter’s birthday is coming up…this would be a fun way to celebrate.